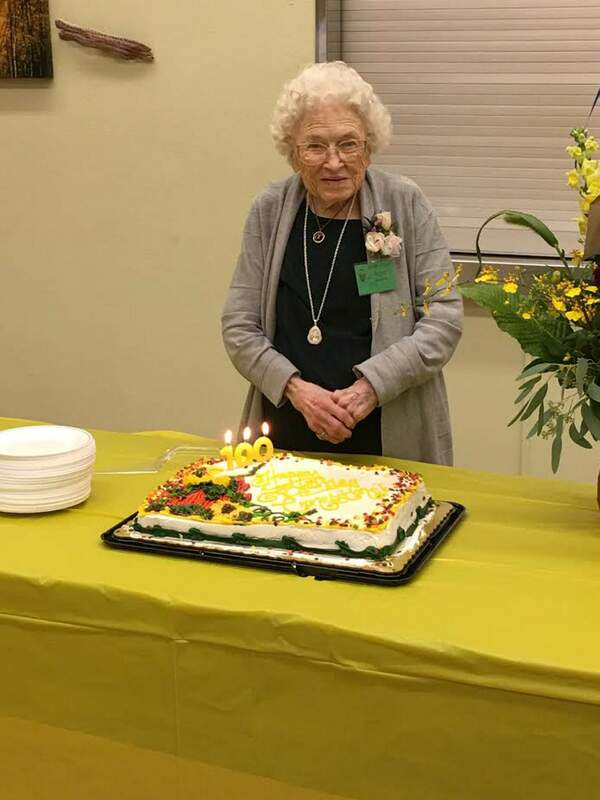 Ernestine Brewer, who officially became a centenarian Thursday, celebrated her 100th birthday in style with three parties, including this one at the Durango/La Plata Senior Center on Saturday. One of Durango’s grande dames became a centenarian Thursday. Ernestine Brewer hit her century mark surrounded by friends and family at a catered lunch for more than 100 family and friends, an appropriately numbered guest list. The party was thrown by two nieces and a nephew, who made sure the party was at Brewer’s beloved Durango/La Plata Senior Center. She and her late husband, Orrel, were on the founding board of the center, so she’s been involved from the get-go. Two of her guests – Art Lemmon and Harry Jarrell – had already passed their 100-year birthdays and welcomed her into the fold of those who eat gratis at the Ore House, which deducts your age as a percentage from the bill if you go on your big day. Brewer has been a stalwart member of the First United Methodist Church of Durango for decades. She is known for belonging to the Crafty Ladies, who create items for the church’s annual holiday bazaar, since the bazaar’s founding 43 years ago. Brewer is particularly good at embroidery and stuffing dolls and toys, which, by the way, is a real art form. Happy returns of the day, Ernestine!